Merrill Leffler has always seemed to me to be the perfect blend of enthusiasm and knowledge, often the enthusiasm breaking out into exuberance and the knowledge into wisdom. 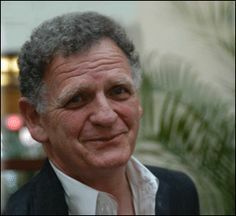 His education in literary matters has been a mix of significant academic study  including a three-year fellowship at Oxford  and far more significant personal extensions of that study. As a poet, translator, scholar, editor, publisher, science writer, critic, teacher, book designer, and cultural event pillar, he seemed (and still seems) inexhaustible. Hes the kind of guy who makes time for everything. I dont think I met Merrill until shortly after he founded Dryad in 1967. Beginning that same year (and for five joyous years thereafter), I shared an office with Roland Flint in the English Department at Georgetown University. Its likely that a connection between Merrill and Roland led to my own connection with Merrill. Over the next ten years, Dryad flourished, nourishing the literary culture in the Washington, DC area. The periodical publication gradually gave way to Dryad Press, the first publisher of poetry collections by Roland Flint, and over the years an imprint of regional and national importance. Many others in the DC area published with Merrills Dryad Press, which also brought out titles by poets of national and international reputation or notable promise from other parts of the country, such as Rodger Kamenetz, Moshe Dor, and Ann Darr. More recently, the press has published books by Natasha Trethewey and Reed Whittemore. Dryad Press has published important titles in prose as well as poetry. Co-publication with various university presses extended the distribution range and review possibilities for many Leffler projects, most of these related to Jewish writing and culture. These are issues that have a prominent place in Merrills own poetry and in his translations. My vantage points on Merrill and his activities shifted during this ten-year period. We were both charter members at the 1976 founding of The Writers Center, along with many other literary seekers and doers, at its original Glen Echo Park location. Merrills contributions through his WC participation greatly enriched the programs and spirit of this literary arts Mecca for decades. It may seem odd to speak of the significant role of the United States Naval Academys English Department faculty members in the genesis and development of The Writers Center  until one remembers Al Lefcowitz, its principal founder and guiding/presiding spirit for so long. Al was our senior at USNA, and he swept John Hill and myself into this most worthy and congenial operation. Shortly before the birth of the Writers Center, we found ways of having Merrill join us for several years (1975-1977, 1979-1981) as a colleague, helping bring literary culture and writing skills to science- and math-oriented midshipmen. Merrills scientific literacy was a great asset in bridging the great divide between the two cultures so profoundly articulated by C. P. Snow. 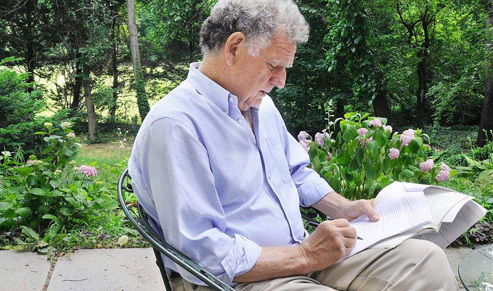 Before Merrill was officially named Poet Laureate of Takoma Park, MD  his home for decades (and the DC area for half a century)  he was certainly that unofficially. He already had been working for many years to raise the communitys consciousness about the value of poetry in everyday life. He promoted poetry and poets at every opportunity, arranging poetry programs and building audiences for local and visiting poets. Takoma Park (and the adjacent Takoma section of DC) became a hotspot for literary creativity and appreciation. Writers, musicians, and visual artists informally support each others efforts. Merrill has been a huge energy force within this creative community. On a larger scale, Merrill has played a similar part in the greater Washington, DC area. Unpretentiously powerful, he continues to be a role model and exemplar for others. Of course, these activities  publishing, programming, and institution-building  have the same thrust: putting readers (or listeners) and writers together. The Writers Center goes one step further  mentoring writers. As a publisher, editor, workshop leader, and friend, Merrill is often in a mentorship situation. From my own experience and the testimony of others, Merrills editorial efforts as a seriously involved publisher made all the difference in bringing our poetry collections to a much higher level than we could have reached on our own. Not only was he a shrewd and sensitive critic, helping us mend individual poems, but he also  and this may have been for him a larger concern  shared penetrating insights and practical suggestions about the grouping and arrangement of poems. He was (and still is, judging by his recent collection, Mark the Music) an ardent representative of the school of thought that believes a collection is not a miscellany, but rather a careful orchestration of themes, tones, and techniques. Effective sequences, as well as juxtapositions by contrast and affinity, involve a kind of alchemy of which Merrill is a magus. 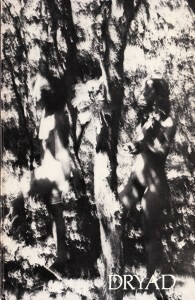 Im holding in my hands Dryad, Numbers 14 & 15, 1977. This long-awaited issue appeared after Dryad Press had taken over Merrills attentive heart. 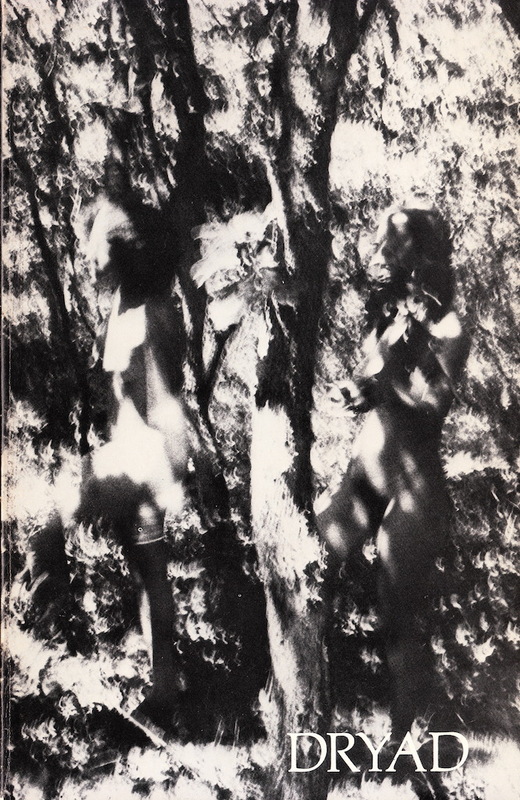 The back cover advertises Dryad Press books and chapbooks by James Wright, Paul Zimmer, John Logan, Denis Boyles, Roger Aplon, Myra Sklarew, Roland Flint (3rd printing of And Morning), Linda Pastan, Frank Dwyer, Roderick Jellema, and a collection of praise for John Berryman edited by Marguerite Harris. The double-issue is juicy with reviews, translations, and new poems by poets of reputation and talented newcomers. I was proud to be found in it as a reviewer and a poet. I still am. Though Merrill has always been generously eclectic in his tastes, it still means something  much, in fact  when he finds worth in something youve written. An example of a Dryad issue that was also released as a book is the collection I edited called Shaping: New Poems in Traditional Prosodies. Published in 1978, it was mailed to Dryad subscribers as Dryad 18/19. A lover of typefaces and book design, Merrill was only following a beloved tradition by letting readers know at the back of the book that it was Set in 10 point English Times at the Writers Center, Glen Echo, Maryland. This kind of information in other Dryad Press books was usually much more elaborate. The physical, designed book has a personality that Merrill wishes to honor. From Merrill, many of us learned that printers ink came in shades of black, not just black. A dollop of silver in the brew could make all the difference in how ones lines jumped off of the selected paper. I have not given any attention to Merrills own poems in this little ramble. Its something Ive had occasion to do before (long ago in Poet Lore and recently in Jewish Book World). As they have always done, Merrill Lefflers poems insist on sheer presence. Bravado and uncertainty dance together, their feet stepping to rhythms of resignation, grief, and merriment. Poetic feet? Often. Measures of experience and meditation? Always. Prose poems and graphic poems? Yes, treasures. Exploring and inventing approaches to lifes huge questions; exploring older, newer, and novel forms for the journey, Merrill Lefflers generous collection, beautifully designed for the eye and the minds ear, reveals a soul at once self-deprecating and heroic. Although this poet is now an elder, the pulse and juice of youth continues to charge his art; the wisdom has only deepened. Thank you, Merrill, for your own wonderful poems and for everything else, including those marvelous, caring, richly detailed and considered, and frequently hand-written letters  now a bulwark against the terse, telegraphic e-messages that pass for communication in our 21st century lives. Yasher koach.